(2017/Sony) 8 Tracks - Reissue of the rare original 1961 Disques Vogue album! 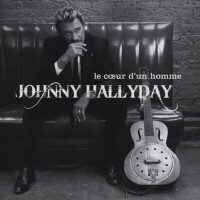 The death of Johnny Hallyday! He is the biggest rocker and entertainer that France ever gave to the world. He knew how to rock'n'roll, he knew how to sing country and ballads, and he sang the French Chanson. He is an institution in France. Jean Philip Smet aka Johnny Hallyday has died at the age of 74 of a cancer disease. Johnny Hallyday has an extraordinary biography. Born on June 15, 1943 in the Nazi occupied capital Paris as Jean Philipe Smet, he grew up with his aunt. She adopted him and married the American artist Lee Hallyday. As a kid Johnny saw more circus big tops than school class rooms. At age 15 he started to sing and perform and introduced himself as Johnny Hallyday to thank is adopting parents for. The first step to a tremendous career was done. 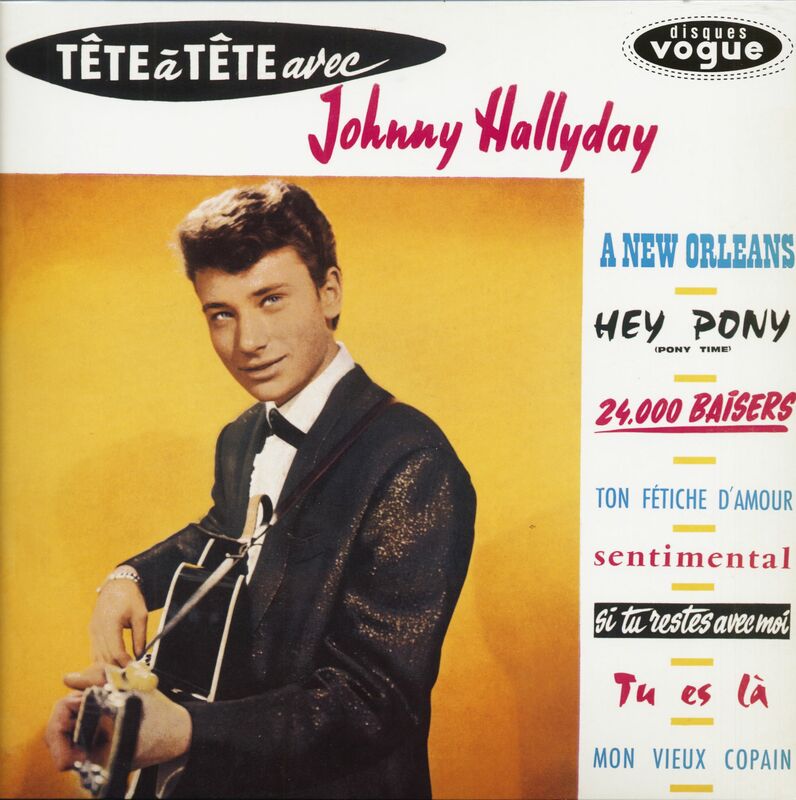 Johnny's first record was released in early 1960 on Vogue and till the end of the year a million copies were sold. 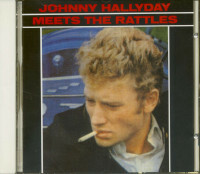 Hallydays shows were wild and similar to other rock'n'roll riots elsewhere Hallyday's shows created much trouble. He was touring also in the USA, recorded in Nashville with Shelby Singleton a series of Rock'n'Roll, Twist and Country albums. He also acted in classic French movies and worked on its soundtracks. He filled whole stadiums with his shows and especially those from Paris' Olympia are legendary. From 2006 Johnny Hallyday lived in Switzerland and moved to Los Angeles, California in 2013. In March 2017 Johnny Hallyday announced that he got lung cancer he died of in the night to the 6. December 2017. Johnny Hallyday had an unusual childhood. Adopted by an aunt who married American acrobat Lee Hallyday, Johnny attended more circus tents than the school as a child. When he first sang at the age of 15, he introduced himself as Johnny Hallyday to thank his adoptive parents. Nobody could guess at this time that this boy would one day become the idol of a whole generation. His first record was recorded in early 1960, by the end of the year, 1 million were already sold. Johnny Hallyday adores Elvis Presley and apes him as best he can. He can do it pretty well. The young audience - only the young? - is so enthusiastic that at every event the furniture is demolished. Often the police have to fight tear gas against the fanatical pack. That has not happened in France yet. Nobody from the critics, however, believes that this fever would continue. "In a year this Johnny Hallyday is already forgotten," they thought. Error. Today, after more than 15 years, Johnny Hallyday is still the idol, the apostle, even the god of a novel religion whose bible remains incomprehensible to adults. Johnny Hallyday the rocker, the hippie, the crooner seems to be obsessed by invisible demons: he roars, he rages and the audience raves along. Privately he is calm, almost shy. In 1967 he married Sylvie Vartan, the female counterpart to Johnny Hallyday. About 25 million records have been sold so far. A star that Germany has not yet discovered. 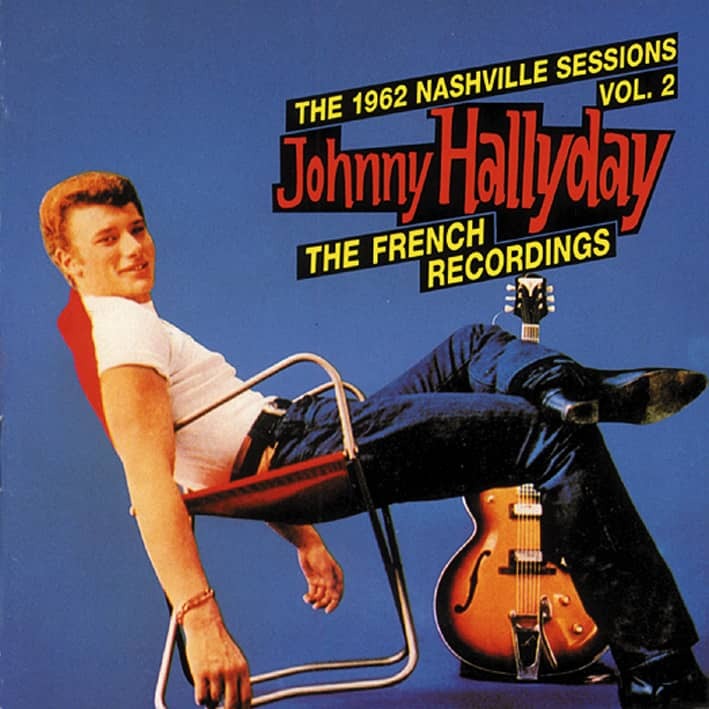 In common with most European rock & roll artists of the late '50 and early '60s, Johnny Hallyday's music grew in the giant shadow cast from the United States. And, like most of his contemporaries, Hallyday nourished the dream of both recording and having a hit record in the States. Hallyday's connection to North American showbusiness traditions was stronger than that of most of his contemporaries. He had been raised by an American dan-cer, Lee Ketcham, who had first ventured to France with the touring company of `Oklahoma'. He appeared with his wife Desta, as Lee and Desta Hallyday. Ketcham actually came from Tulsa, Oklahoma and adopted the young Jean-Philippe Smet (Johnny Hallyday) who was a cousin of Desta. By 1962, Hallyday had become the brightest star in the French pop music scene. 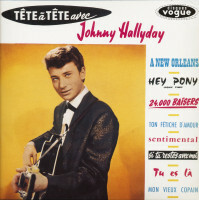 Under the tutelage of Johnny Stark (who later managed Mireille Mathieu), Hallyday had developed a uniquely Gallic stance on rock & roll. After several visits to the United States with Ketcham, he began to pressure his record company, Philips, to let him record in the States and release records there. At that time, Shelby Singleton was head of the New York and Nashville A&R of-fices of Mercury Records, which was a North American subsidiary of Philips. "At that time," recalled Singleton, "Philips wanted us to take their top singers from each country and try to develop them in the USA. We took Nana Mouskouri for example and tried to get her some exposure in the States. We tried as a reciprocal thing. All the costs of recording, promotion and so on were borne by the French company. Most entertainers who are big in one territory want to be big all over the world and in order to satisfy Hallyday, Philips promised him he would get records released in North America. Maybe his contract was coming up for renewal. That sort of thing happened a lot at contract renewal." Hallyday arrived in New York at some point in early 1962 and performed as the S.S. France docked at the close of its maiden voyage. Singleton then brought him to Nashville and placed him in the company of that city's A-team of pickers led by Jerry Kennedy. They worked their way through a catalogue of oldies and stand-ards. "Most of those songs had never been hits in France," asserted Singleton, "and I felt as though the treatment of the songs was different enough that they might stand a chance here." The first single drawn from the session, Shake The Hand Of A Fool, came from the pen of Singleton's first wife, Margie and it secured a fair amount of radio play. Singleton secured a slot for Hallyday on American Bandstand but the singer had a datebookfull of higher grossing commitments back home. In order to ensure that they recouped the cost of the sessions, Philips took some of the songs and re-recorded the vocal part in French for the local market. How-ever, the English version was released in other territories in which Philips was trying to break Hallyday. Two years later, there was a frenzy in North America for British artists. Even the weakest were indiscrimately signed up and released there. 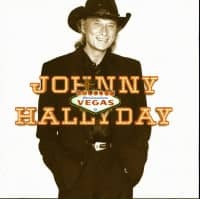 Philips tried again with Hallyday, releasing some more of his recordings in North America but the vogue for British groups did not generalise to Johnny Hallyday and he remained a phenomenon only in French speaking countries. Singleton and Hallyday met again in 1976 when Hallyday was recording in Mem-phis. "He called me out of the blue one day," recalled Singleton, who had started his own labels in 1968. "He was over in Memphis cutting some sides and he didn't like what was coming off. He wanted to come to Nashville and finish the sessions so I produced him for Philips. He stayed about ten days. I got a vocal sound he really liked and he tried to buy the microphones off me after the sessions. He said I made him sound like it was the nearly '60s again." North American success notwithstanding, Johnny Hallyday remains one of the biggest stars in French entertainment. Philips took a bold gamble trying to break him in the United States at a time when few Europeans had made an impact there. Paradoxically, his success at home meant that Hallyday barely stood a chance in the North America because he simply could not afford to take the time to start at the bottom of the ladder. 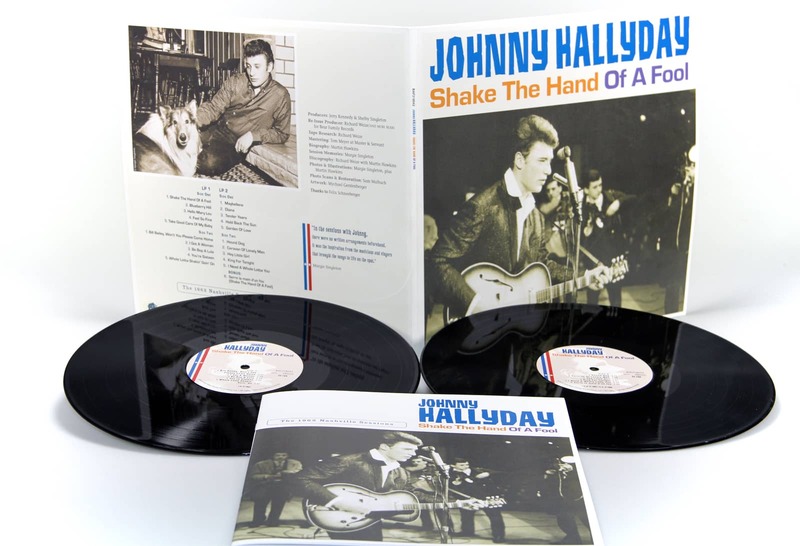 However, these sessions show that Hallyday had indeed mastered the essence of rock & roll and was able to perform it with conviction in its birthplace. In a career marked by experiments, this stands as one of the most suc-cessful. COLIN ESCOTT Toronto. November 1989. 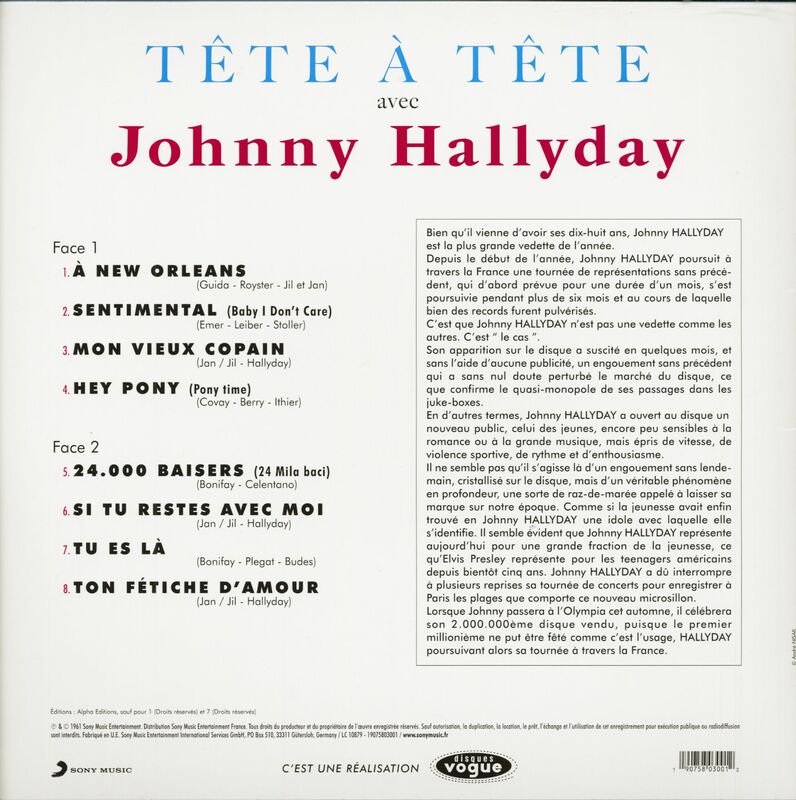 Customer evaluation for "Tète A Tète Avec Johnny Hallyday (LP)"